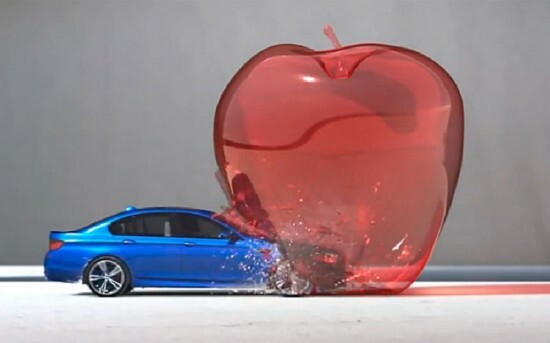 Here is a great new take on Doc Edgerton’s iconic images — check out this phenomenal new car ad by BMW/Canada. As the Edgerton Digital Collection website archivist, I like to monitor what links are being made to our site from other locations. Imagine my delight at viewing this YouTube video that I found through Matthew Panzarino’s technology blog that linked to our site. So far Panzarino — news and Apple editor of TNW (The Next Web) — is the only blogger, among the many who have commented on this ad, to have highlighted the clear connection to Doc Edgerton’s work. Thanks, Matthew! Here are several of Doc’s images that surely provided inspiration for the ad: HEE-SC-07018, HEE-NC-59001, HEE-NC-62001. This entry was posted on Thursday, June 28th, 2012 at 4:17 pm and is filed under Stories, The Archivist's Blog. You can follow any responses to this entry through the RSS 2.0 feed. Both comments and pings are currently closed.